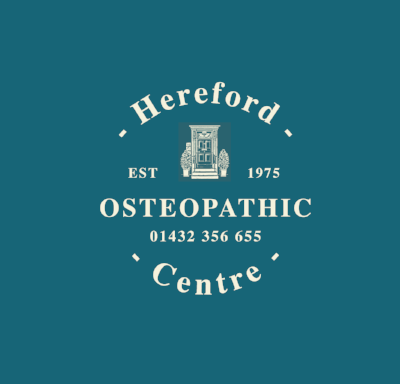 Osteopathy is one way of assessing, treating and preventing a wide range of health problems. Osteopaths use various techniques including movement, stretching, targeted deep tissue massage and manipulation of a person’s muscles and joints to improve function, relieve pain and aid recovery. Over 30,000 people every day visit an osteopath. A great form of water based resistance training, exercise and fun. Aquarobics combines movement in water to music with a range of water based weights and floats. A gentle yet effective way to get in shape, stay fit and have fun in the water..
A dynamic approach to assessing, treating, preventing and reversing the symptoms of complex chronic disease. NLP is used by some Hypnotherapists, Councelors & professionals when treating addictions, phobias, weight management, depression & anxiety. Programming = How the two function together. NLP has been referred to as viewing your mind as a switchboard with wiring that is out of date. NLP is used help rewire these connections, thoughts or habits to serve you effectively. Water Osteopathy is the combination of Osteopathic principals with one to one treatment in the water at the pool in our clinic. Applying Osteopathic techniques whilst in water is a gentle way of working with your body. Waters natural effects, allow our muscles to relax & therefore move with less pain. For some, water is a more comfortable place to relax in when working with their body..
One of the unique properties of the water treatment is the instant release of endorphins which is the bodies natural opiate. Aka; it aids pain relief, gives a sense of relaxation with an overall feeling of well being. Nutrition refers to what you eat and in our case how it effects your overall wellbeing. Nutritionists use both the science of food and a wealth of knowledge to help groups and individuals make the right choices about what they eat. Our nutritionalists guide you on your journey to better health and wellbeing through diet, exercise & movement. Our acupuncturist has a combined style integrating Traditional and Five-Element Acupuncture. This approach responds effectively to issues of a physical, psychological or emotional origin. The beauty of this is that although treatment may initially be focused on a specific symptom/s, patients will likely begin to notice improvements in other areas of their wellbeing. In addition to treatment, Bridie will offer support and guidance relating to lifestyle changes that might best support patients in achieving and surpassing their health goals. As well as the gentle stimulation of acupuncture points, treatments may include a range of therapeutic techniques such as fire-cupping, guasha or moxibustion. For Mother's who make the choice to breastfeed & subsequently see our specialist. Great results have been reported for them and their baby with our experts help. Recognised throughout the world as breastfeeding advisors helping with basic and complex breastfeeding challenges. Providing specialist support to nursing mothers, a lactation consultant has a great depth and breadth of knowledge and expertise. With knowledge which is both scientific and practical in key areas such as the mother, the baby and communication skills, a Lactation Consultant has in-depth knowledge of infant development and breastfeeding behaviour of up to two years of age. They have counselling skills which are highly developed and understand child protection and other legal issues. The aim is to help women feed their babies enjoyable and safely rather then focus on breastfeeding alone.